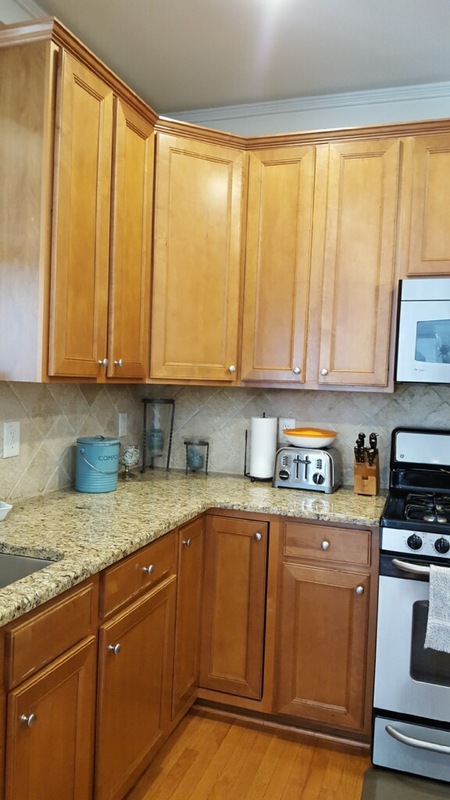 This kitchen was suffering from the dreaded brown-on-brown-on-brown disease. 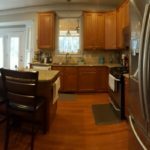 The flooring, the cabinets, the countertops and the backsplash were all some shade of brown. 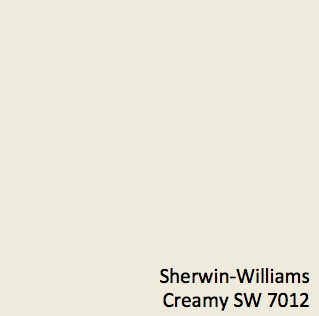 That meant nothing really stood out and commanded your attention. 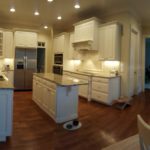 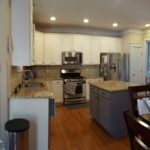 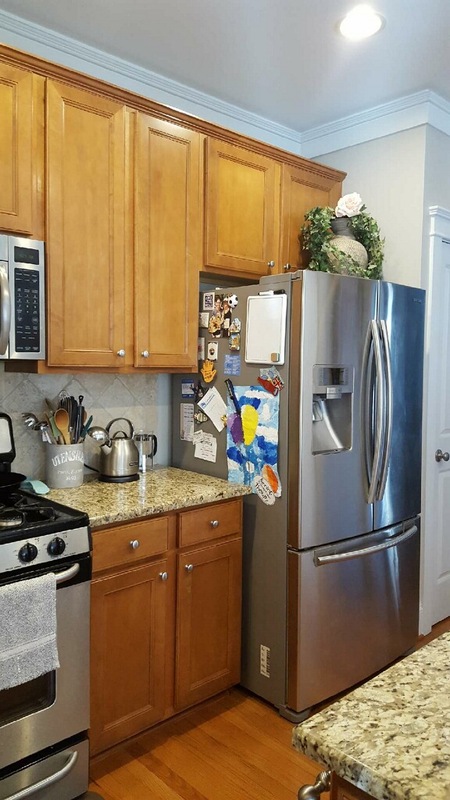 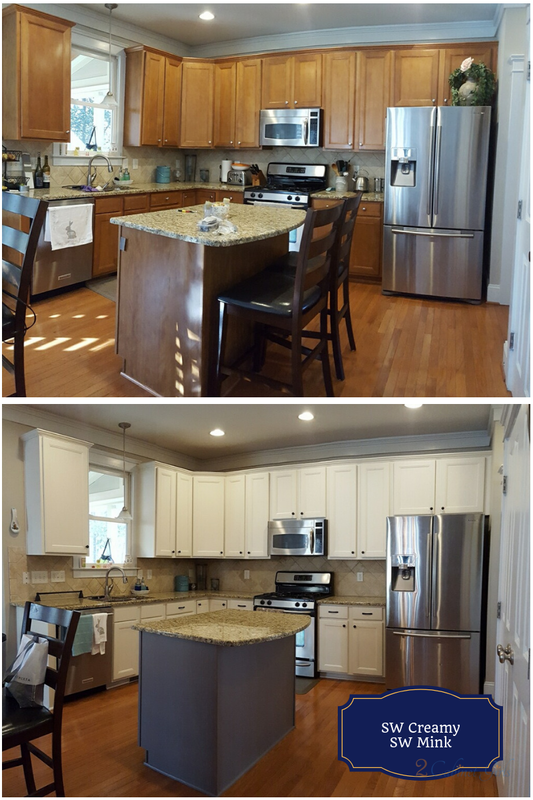 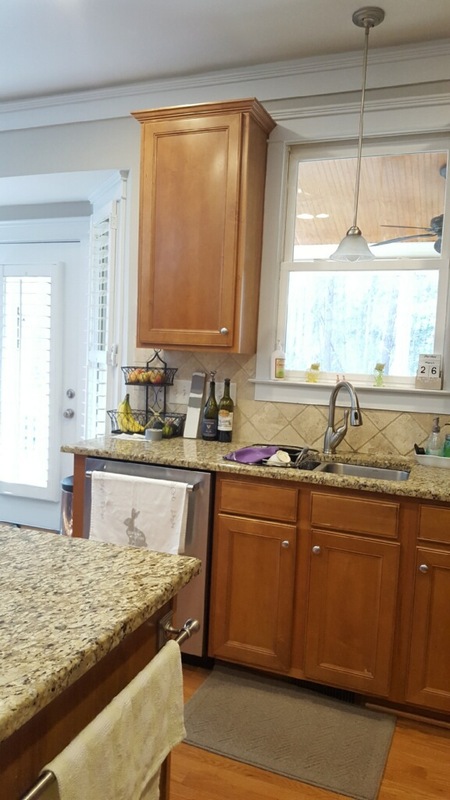 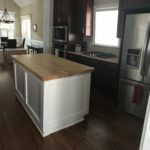 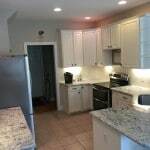 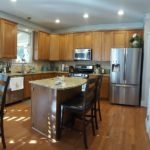 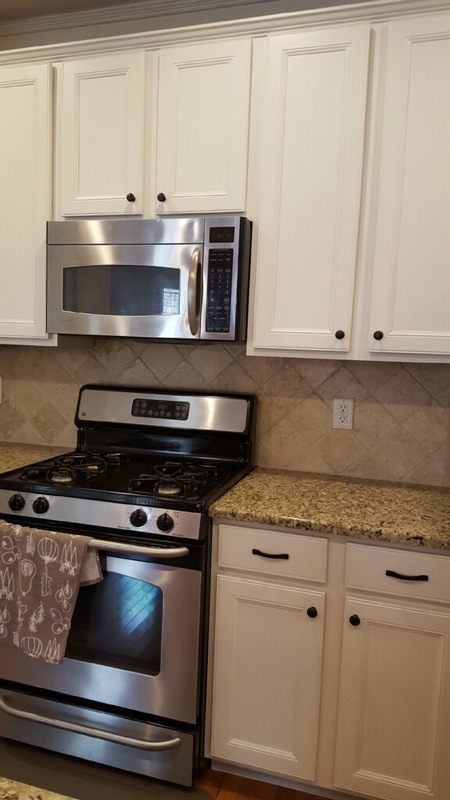 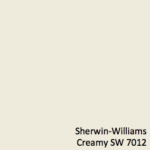 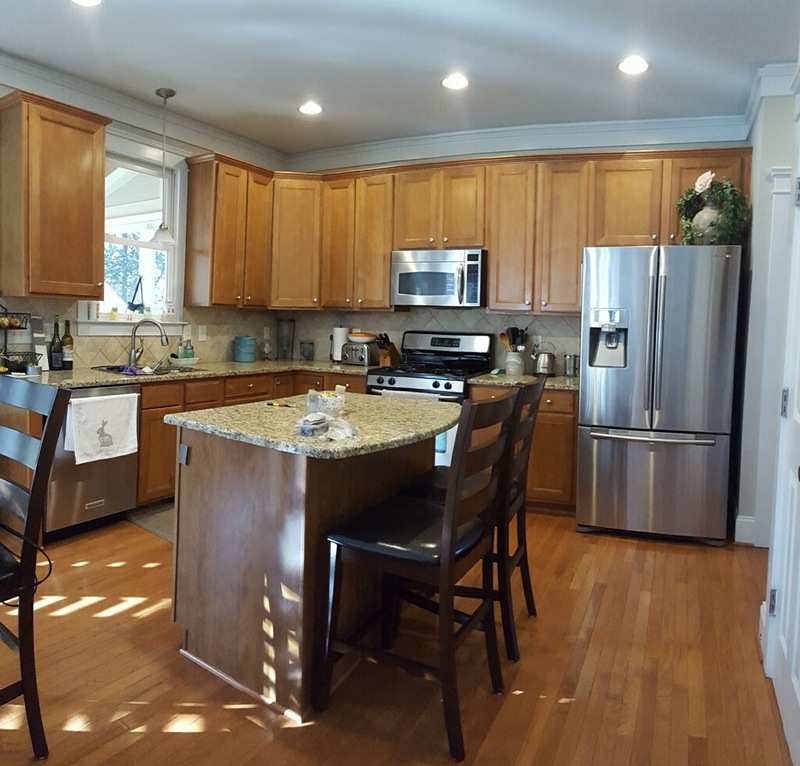 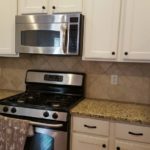 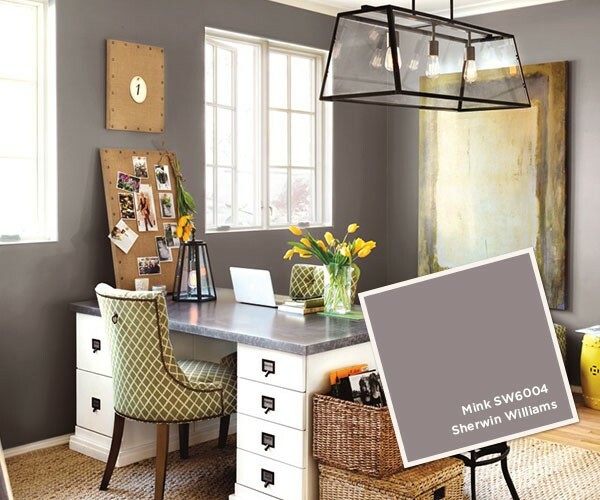 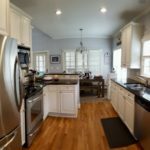 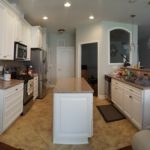 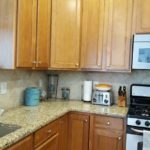 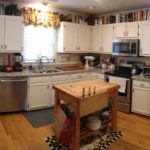 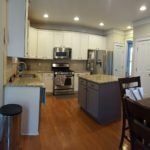 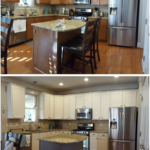 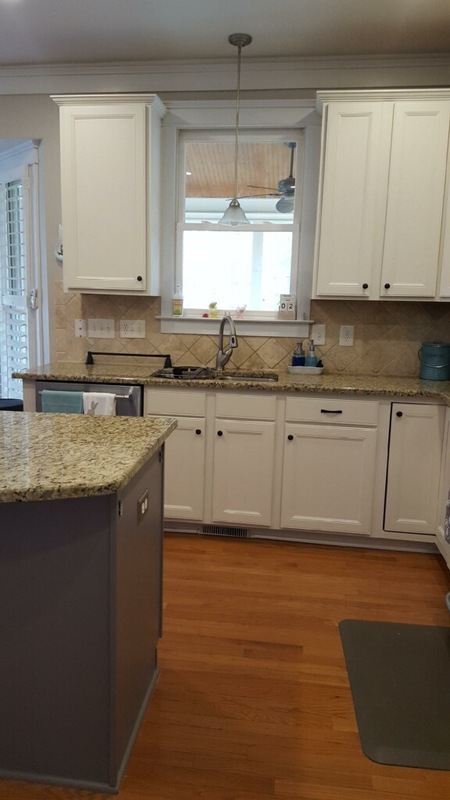 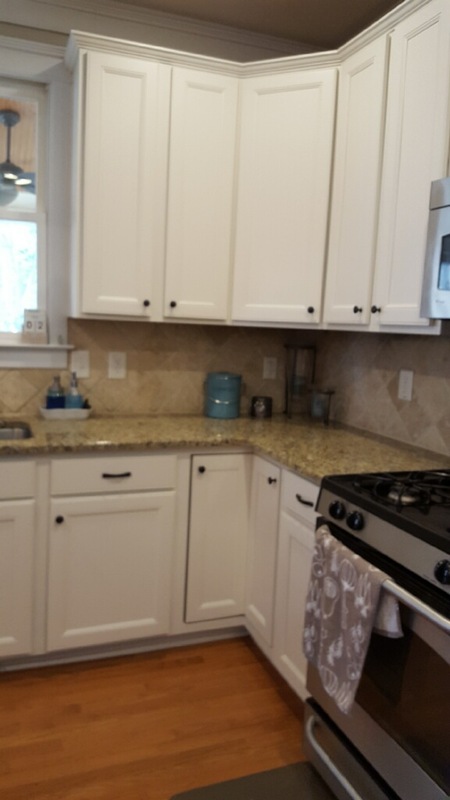 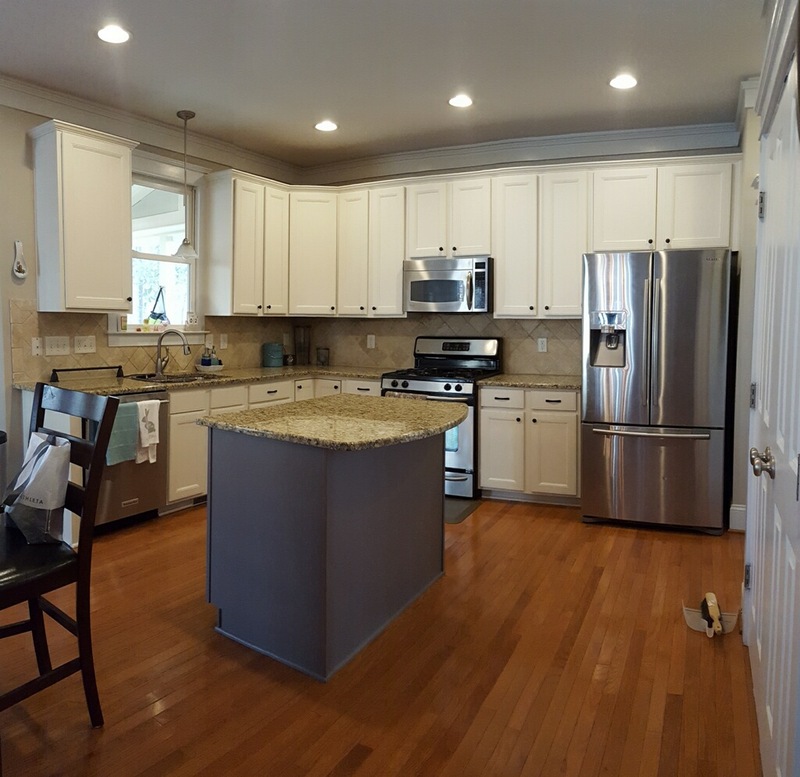 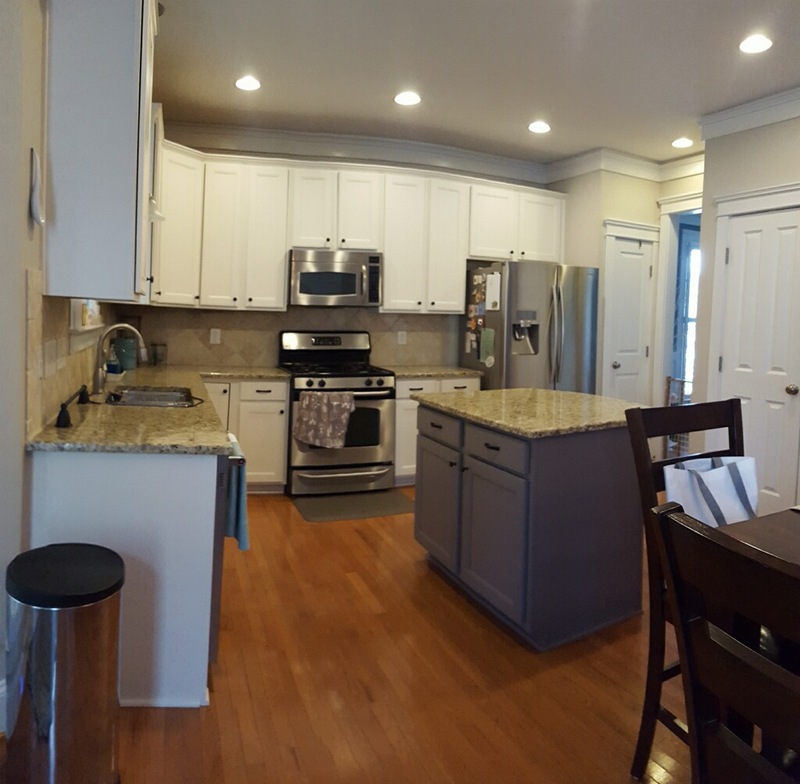 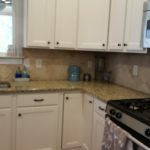 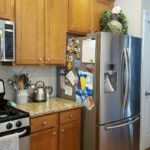 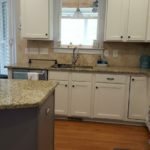 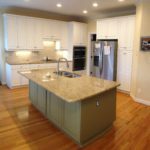 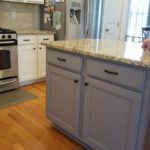 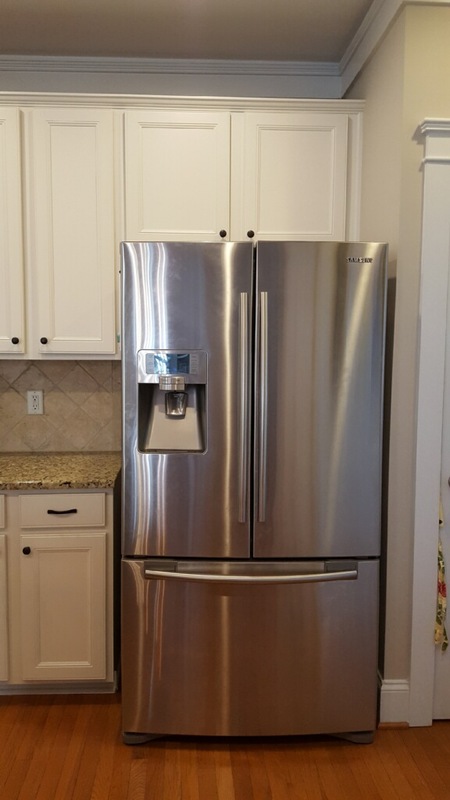 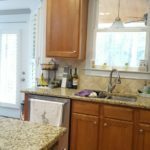 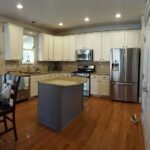 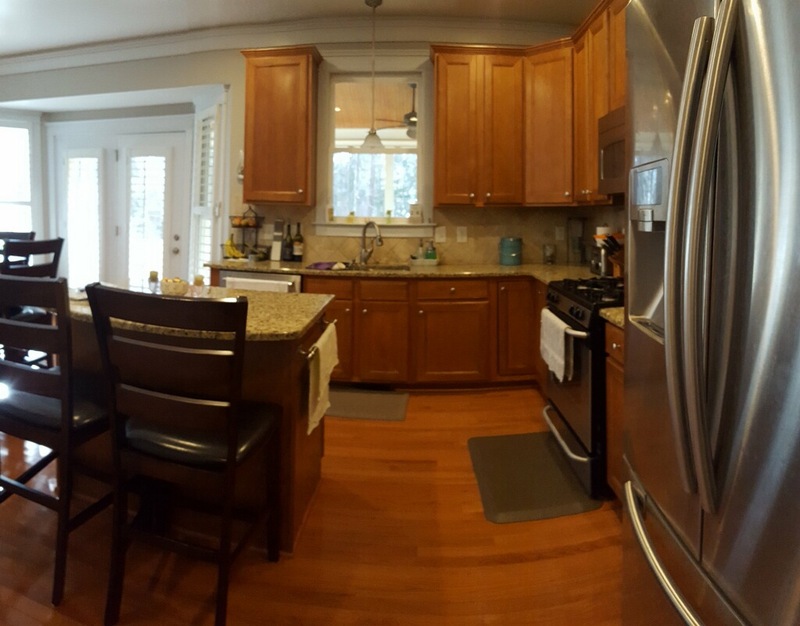 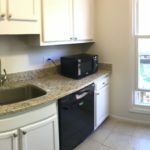 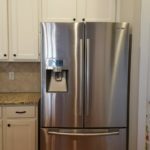 By changing out the cabinet color to Sherwin Williams Creamy, and the island to Sherwin Williams Mink, we helped break up all of orangey brown tones. 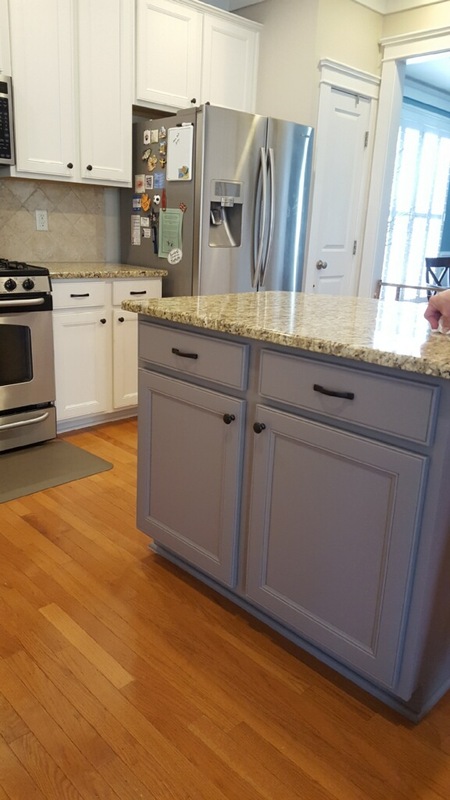 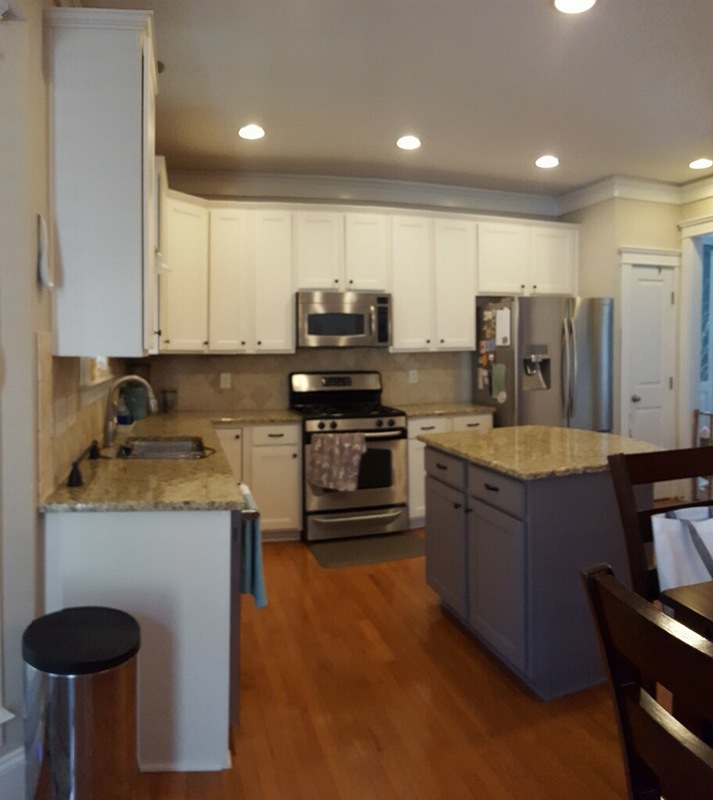 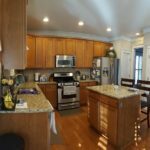 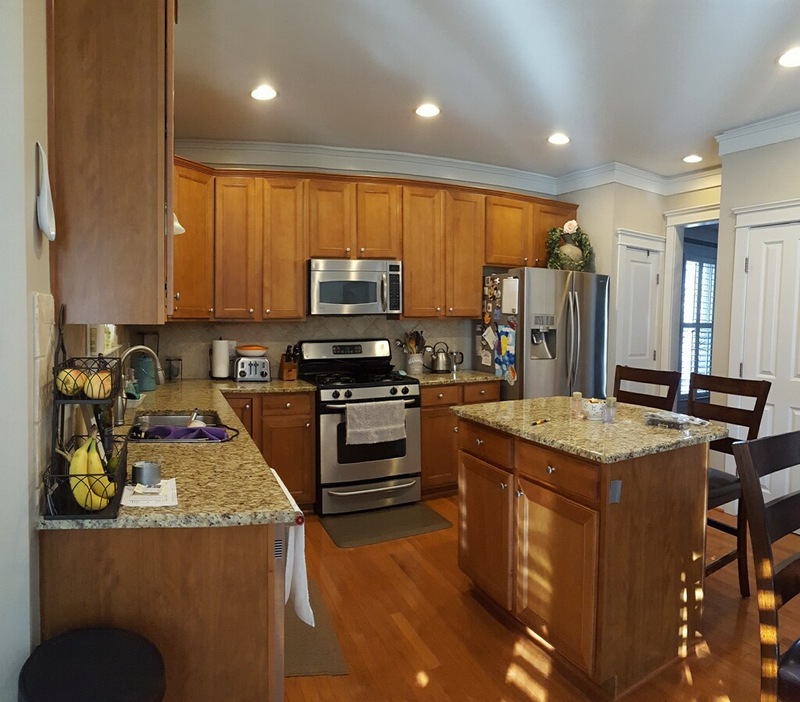 Now you’re able to really see the beautiful features of this kitchen!